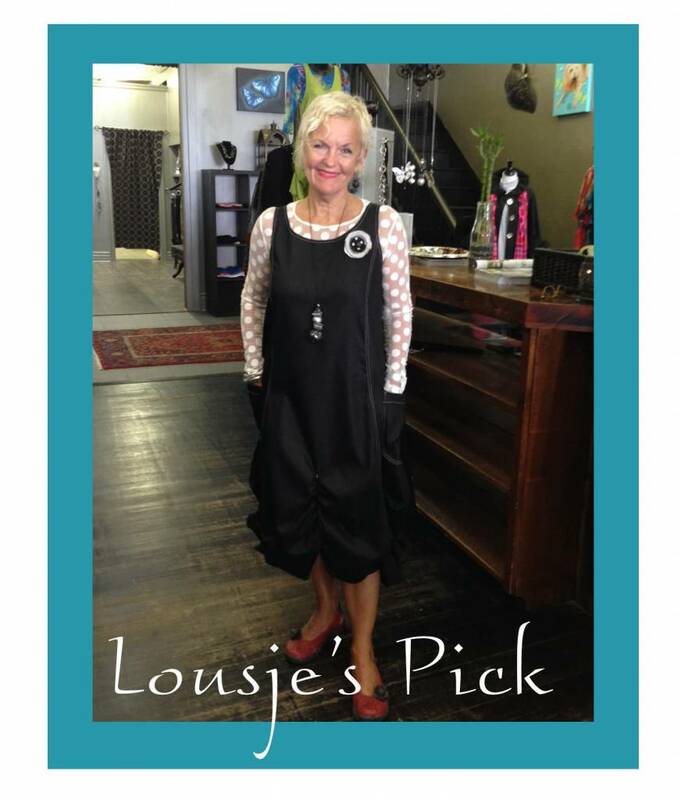 Lousje starts this look off with our Essential Dot Mesh Top to get the Polka Dot style started. Available in Black and Cream in a large variety of sizes, this top is the perfect layering piece and is light as a feather. Next Lousje adds the Denim Issey Dress which is loose and comfy but trimmed with fun elements like the oversize pockets and crunch detailing that give this piece a playful edge. Cut from classic black denim, this dress looks great all year long and washes up like a dream! The icing on top of it all is our Lousje & Bean Fabric Polka Dot Brooch and Ruby Necklace to complete the look. These accessories are available in the Boutique and are a great way to add colour and pattern to any of our basic pieces. You know we love our polka dots, so now go ahead and share with us a favourite pattern or print style that is your go-to! We'd love to hear what you're digging these days!